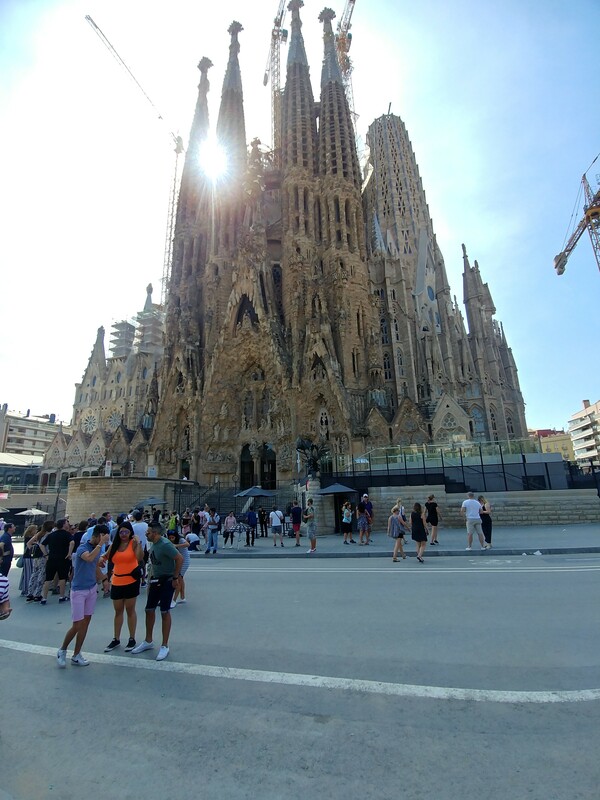 I had a business trip with a colleague week before last, to Barcelona. We attended a summit on Innovative Learning Space, which we are actually looking at for our Uni, from a number of angles. 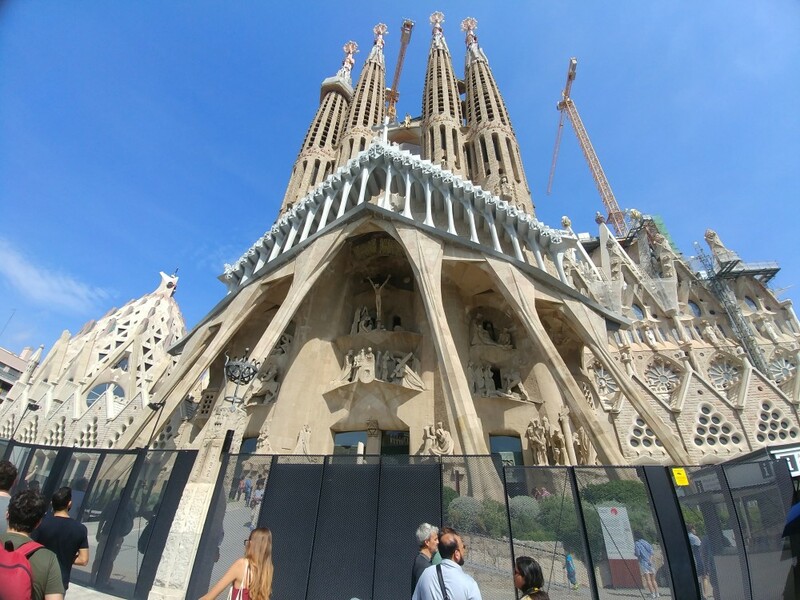 But the summit happened to be in one of my favourites cities in the world, and containing my favourite building in the world (closely followed by the Chrysler Building) - the Sagrada Familia. Barcelona itself has, i believe a nice feel to it. It's Mediterranean, and benefits from having decent weather, but being close to the sea, it's not sweltering - it was 27-29 degrees while we were there. Too warm for my tastes, but i recognise myself as being the odd one there. The city sits in a semi-circular bowl that opens out to the sea. In terms of people, Spanish women are beautiful, having a significantly higher than average score than many other cities i can think of (barring perhaps Zagreb and Croatia). They also have a noticeable lack of obesity on the streets. Even though food is very important to them. There's loads of seafood everywhere, and a high proportion is not cooked. I suspect this is linked to the lack of obesity. 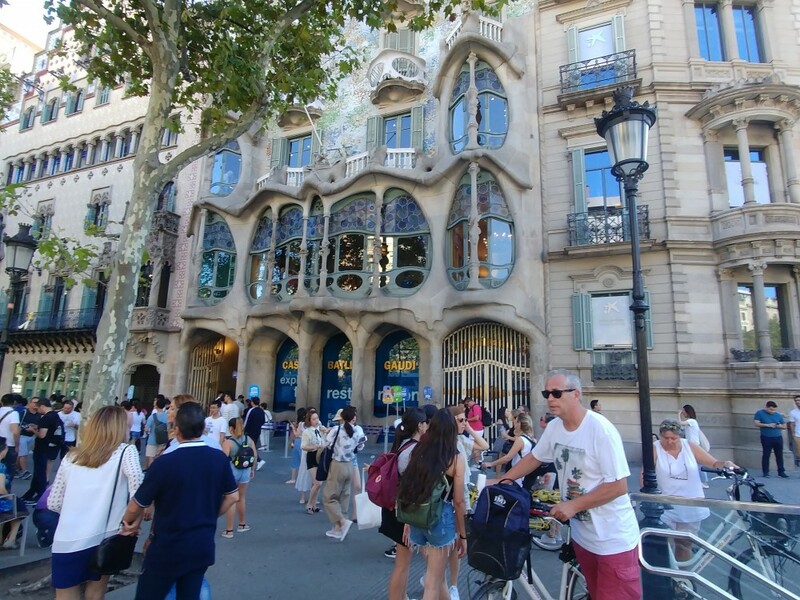 Outside of sport, Barcelona is famous for two people - Picasso and Antonio Gaudi, and it is Gaudi that made a focal point for our trip. 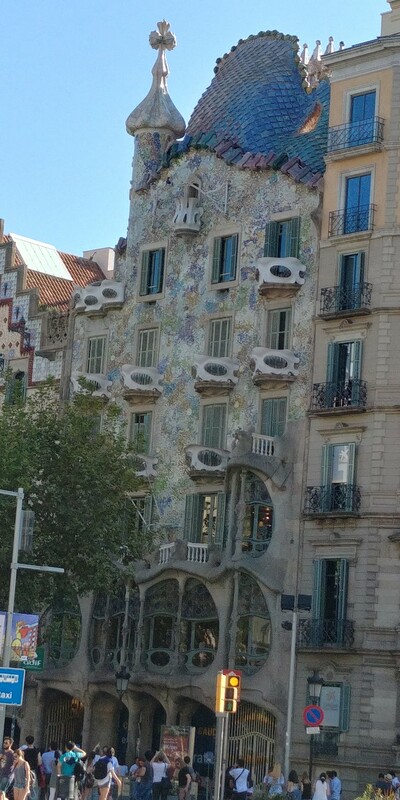 Gaudi, designed the Park (Guell), the Cathedral, and several apartment blocks around the city. The cathedral is the most famous, having been under construction for the last 120 years and still having 30 years left. We arrive on a Wed, had the summit on Thursday and Friday, and then had Sat and Sun to ourselves (we paid for the Sat night hotel stay ourselves), flying home late on the Sun. The weekend we were there coincided with the biggest festival of the year, which meant most of the places we wanted to visit were sold out. 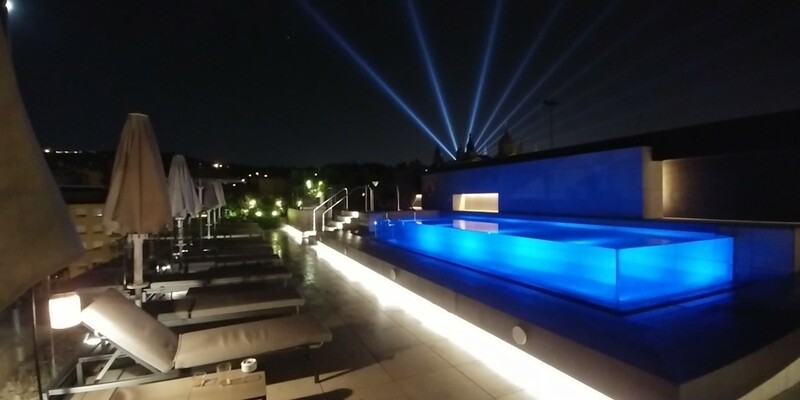 The first picture is from the bar of the hotel roof. The lights from the nearby government building were there for the festival. The bar was double the price of anywhere else, so we only went up for an hour at the end of the night. The next few are back and front of the cathedral. It's a very unusual building, and i have a lot of respect for the Barca people for allowing it to be built. It really stands out from the surrounding city-scape when you view the city from high too. This is another design of Gaudi's, called the Batlo house. 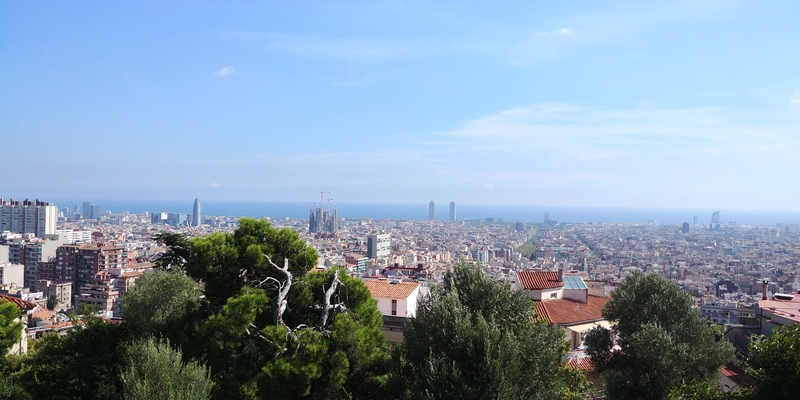 and lastly, the city skyline, showing the cathedral just left of centre, as taken from the Gaudi-designed park. Why was the cathedral gated? Were you not allowed to go in? When doing vacation planning, that is one aspect that I am jealous of Europeans. The number of relatively close beautiful/historical cities that are accessible by very cheap flights. Our domestic flights have built in taxes that amount to over 25% ... that number is hard to find and figure out. Edit: Out of curiosity, I did a quick scan and found direct flights from London to Barcelona start at $74. The cheapest 2 hour flight I have ever bought was from Pittsburgh to Ft Lauderdale at $195. Its the same reason I am driving to Toronto to fly for my next vacation, even though Cleveland and Pittsburgh (and Buffalo and Columbus and numerous other airports) are much closer. While it's being constructed (at least), they charge for admission and tickets are limited. They had sold out both days we went there. I grew up believing that intern US flights were as cheap as buses elsewhere. But having had to take internal flights a few times, yes, i was suprised that they weren't all that cheap. We have a number of no-frills airlines that make flying very competitive. We flew, as a family to Budapest last Oct for £39.00 each. And that is not unusual. These tickets to Barca were a little more, because work was paying, we could afford to avoid inconvenience. A few more piccies added. That cathedral is gorgeous!! I saw a video on it and it is still being built. I saw that the creator / architect went kind of crazy when he got old.